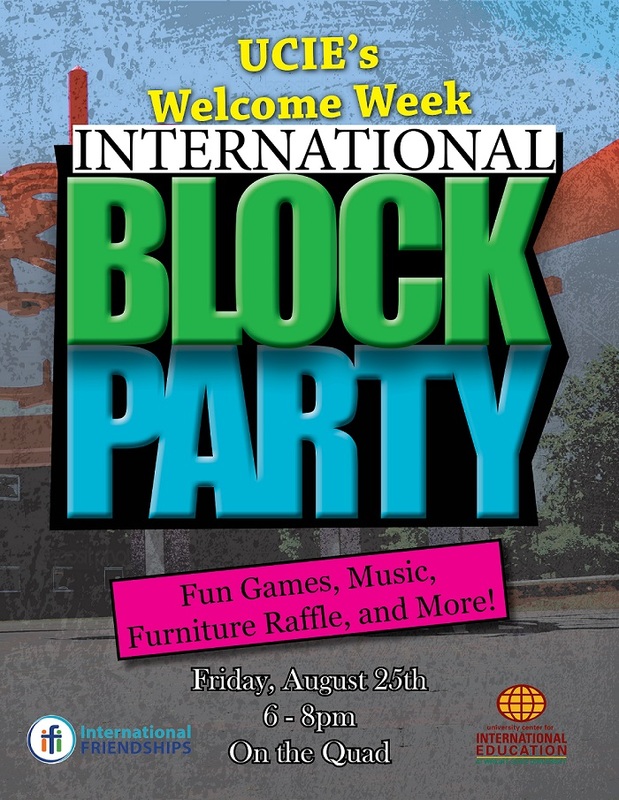 Every August to kick off the new school year and welcome new students, we have a Block Party on the Quad on Wright State’s campus in partnership with the University Center for International Education (UCIE). We had a plethora of yard games for students to learn and play from corn hole, kan jam, life-size jenga, life-size Dutch Blitz, to spikeball and 9 square! There’s also a time for some good old-fashioned relay races! At the end of the event, we raffle off donated furniture to students, with the proceeds going to help refugee families in the Dayton area.